A team of researchers at the University of California has found that bacteria residing in the guts of mice are mainly obtained from their mothers and their microbiome makeup remains nearly the same over many generations. In their paper published in the journal Science, the group describes their experiments with house mice and what they learned. Prior research has shown that mammals have a very large number of bacteria living on and inside of their bodies, particularly in the gut. But how the origin of the bacteria has not been clearly understood. In this new effort, the researchers have found evidence that suggests most of them come from the gut of their mothers. To learn more about the mouse gut biome, the researchers captured 17 mice from two locations in Arizona and Canada. They then set up housing for the mice in their lab—the mice from each location were kept separate from the other. The researchers allowed the mice to mate and produce young, and thereafter, the offspring were allowed to produce offspring, as well. This went on for three years, resulting in 11 generations of mice. Along the way, the researchers took gut samples that were subjected to genetic testing to identify the bacteria living in the gut. The researchers found that the gut biome of the mice remained remarkably stable—the biome of the 11th generation was nearly identical to the first generation. The researchers suggest this is evidence of gut biome bacteria being passed down through the generations, an example of vertical transmission. They note that in the few instances where new bacteria were introduced into a mouse's gut from an unknown external source, the bacteria were of types that tend to cause illnesses. 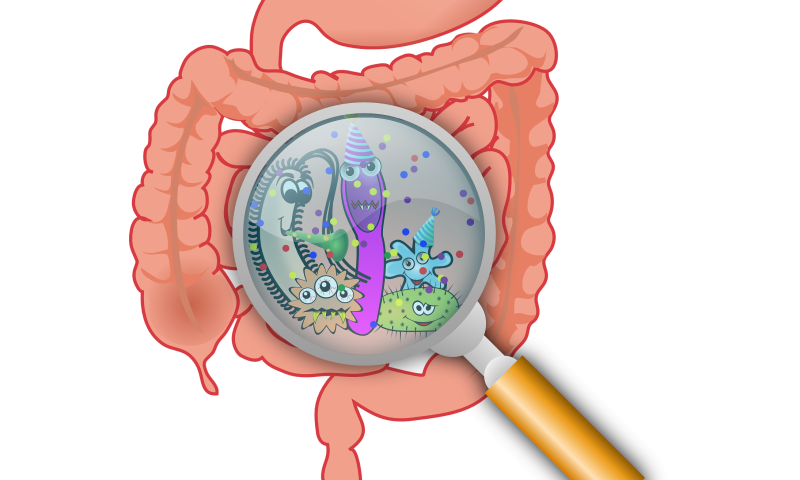 Thus, they suggest that harmful bacteria that show up in the gut likely come from a horizontal source. It also bolsters theories that suggest mammals and their gut biomes have co-evolved in a way that led to symbiosis. The researchers conclude by suggesting that evolutionary theory indicates their findings likely apply to humans as well.